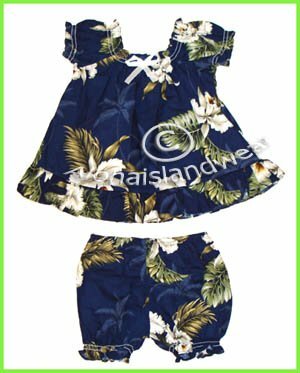 Hawaiian Baby Doll Sets feature a high quality fabric of beautiful Hawaiian print. They are designed with two pieces outfits, top with elastic sleeves and neckline. Great for new born baby girls.